Unless you’ve been living under a rock for the past 20 years or so, you’ve probably heard of aloe vera and its numerous skin benefits. In fact, the beauty industry is brimming with aloe vera products, from hand creams to moisturizers and sunscreens. Health experts are now also recommending drinking aloe vera juice. While your Instagram feed may describe it as the latest fad, in truth, aloe vera has been used in traditional medicine for centuries. In ancient Egypt, it was known as the “plant of immortality,” due to its numerous health and beauty benefits. Now, let’s talk about the health benefits of drinking aloe vera juice. It has traditionally been used as a laxative in countries like India and China to treat constipation and other digestive disorders. Its digestive health properties also make it an excellent remedy for treating gastric ulcers, diverticulitis any inflammation in the gastrointestinal tract. Also, aloe vera contains saponins that can lower your bad cholesterol level naturally and significantly reduce your chances of developing several types of cancer, including gastric cancers. Plus, the juice is used in many parts of Latin American and the Arabian Peninsula to treat diabetes mellitus. The nutritional profile of this succulent is rich in amino acids, beta-carotene, vitamins B, C and E, and other minerals and enzymes. All this goes to show that drinking aloe vera juice on a daily basis will not only detoxify your body but also significantly improve your heart and digestive health, as well as help regulate your blood sugar levels. 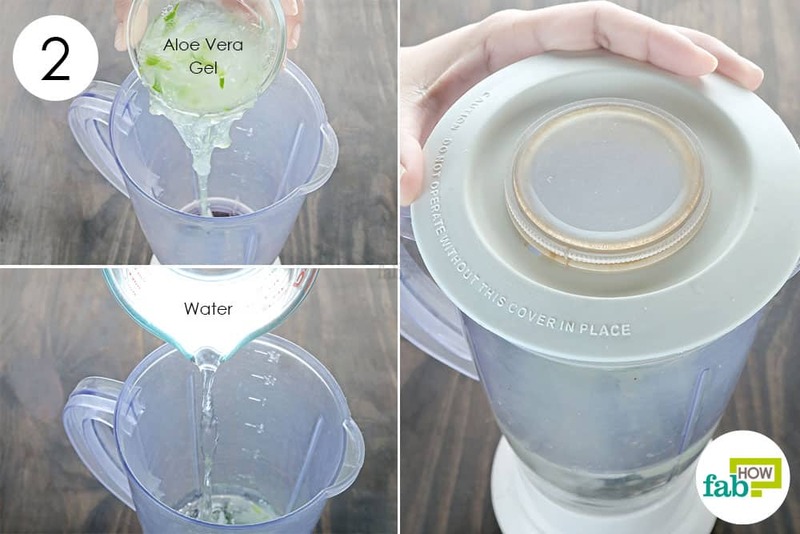 Here, we will show you how to make your own aloe vera juice at home in less than 7 minutes. However, if you do not like its taste, you can also consume aloe in the form of tea.While it may seem easier to simply purchase the juice from the supermarket or your organic food store, making your own will ensure that you get the freshest juice, free of any added preservatives or flavors. 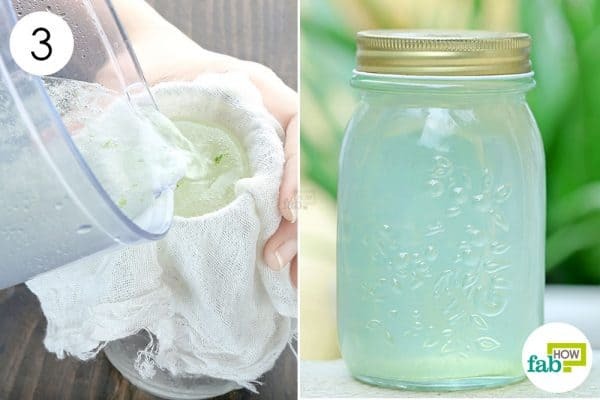 Continue reading below to learn two incredibly easy ways to make aloe vera juice in less than 7 minutes– and say ‘Yes’ to a long and healthy life. 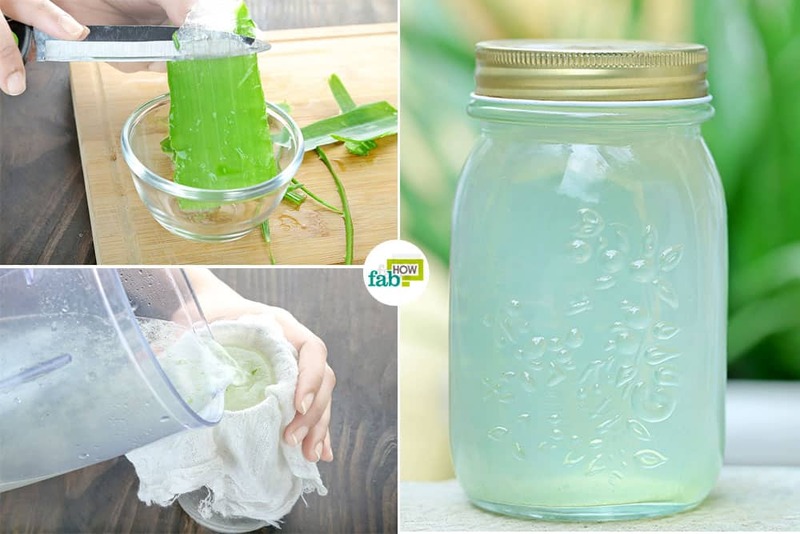 In this method, you’ll learn how to extract fresh aloe vera gel from the plant leaves, and then how to process it to make aloe vera juice. You will need a high-power mixer to do this. Thoroughly wash a large aloe vera leaf. Use a sharp knife to chop off the bottom part that exudes a yellowish liquid, as it is not fit for consumption. 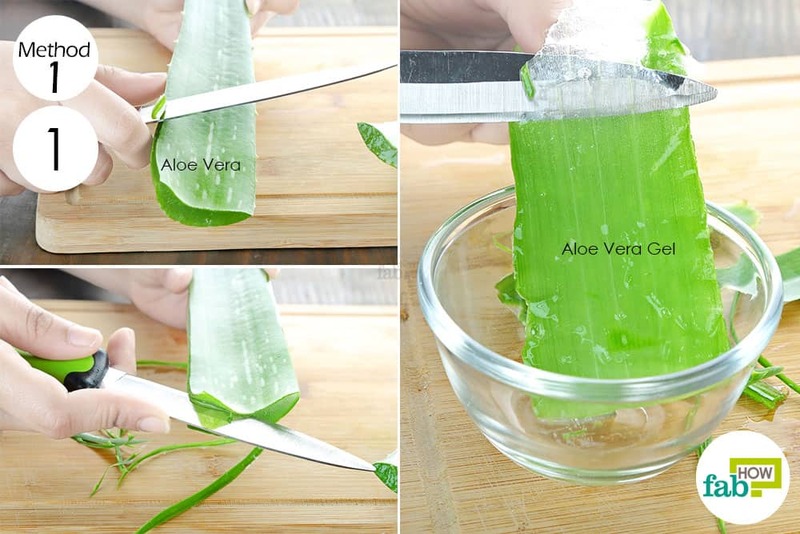 Wipe off the knife and slice off the slides of the aloe vera leaf, taking care not to injure yourself on the thorns. Remove the top part of the leaf to reveal the clear gel. Wipe the knife again and slowly scrape off the gel into a bowl. Pour the freshly extracted gel into a high-power mixer and add 2 cups of water. 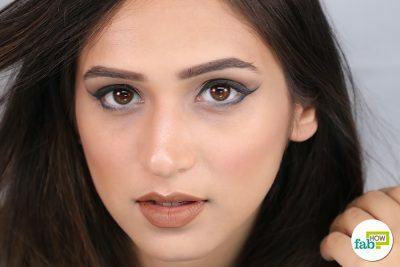 Blend it on high until the gel and water are mixed completely. Place a piece of cheesecloth over a mason jar to prepare a makeshift sieve. Pour the blend through the sieve to strain the juice into the jar. Your DIY aloe vera juice is ready. Drink a glass the first thing in the morning on an empty stomach. You can store any leftover juice in the refrigerator for up to 3 days. If you do not wish to drink plain aloe vera juice, you can spruce it up with a dash of lemon juice. Adding this citrus juice to your aloe vera juice also gives it added benefits, including extra vitamin C and its detoxifying properties. In fact, drinking lemon juice in the morning can also help balance your body’s pH levels naturally. To make aloe vera juice in less than 7 minutes, follow the simple steps given below. 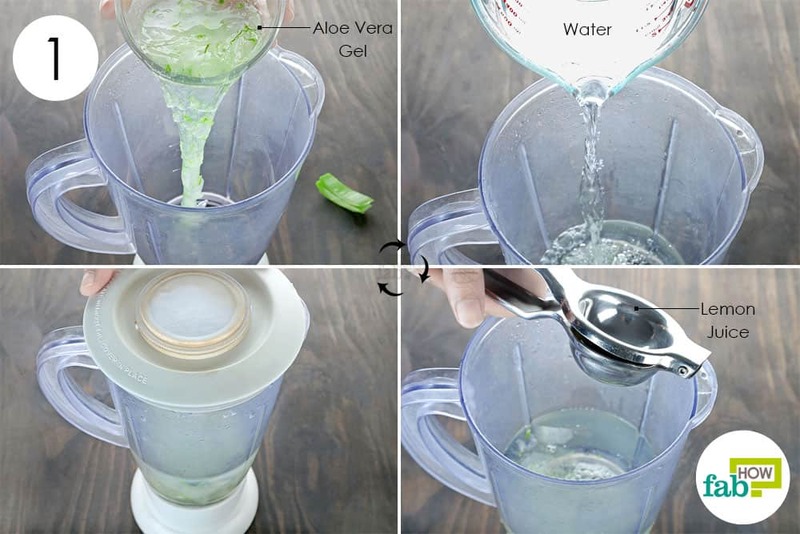 Extract fresh aloe vera gel as shown in Method 1 and collect it in a bowl. You should have roughly ½ cup of gel. Pour the gel into a high-power mixer. Pour in 2 cups of water as well. Finally, squeeze in the fresh juice of 1 lemon. Put on the lid and blend the ingredients at high speed. Once the ingredients are mixed completely, place a cheesecloth over a wide-mouth jar and strain the blend. 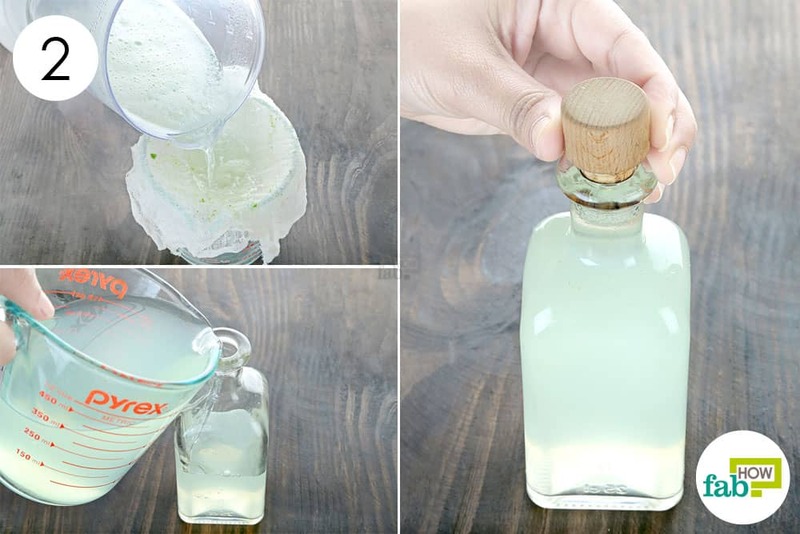 Transfer the strained juice to an airtight bottle. Drink this concoction on an empty stomach in the morning to detoxify your system. You can store the remaining juice in the fridge for up to 3 days. 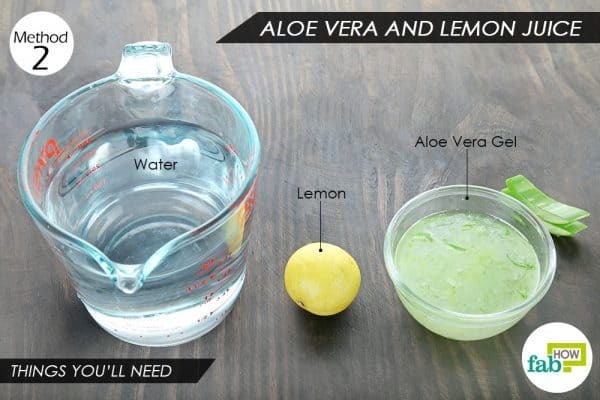 Instead of scraping off the aloe vera gel with a knife, you can scoop it out with a spoon. You can also use the extracted aloe vera gel to condition your hair or to get clear, glowing and spotless skin. 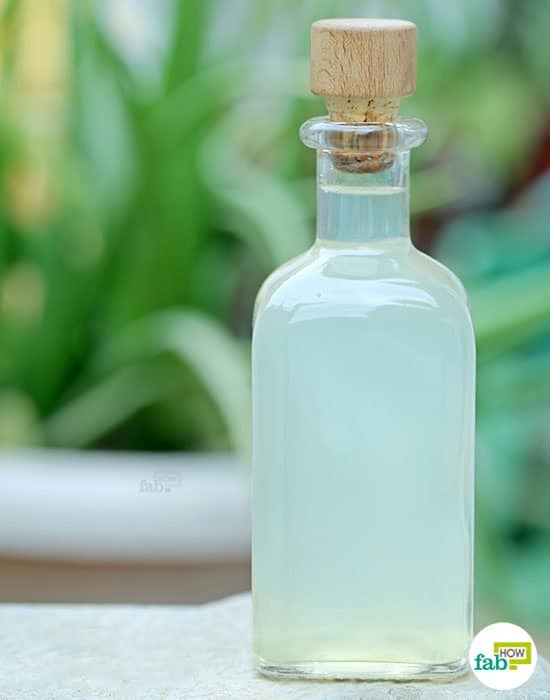 Learn here how to store the extracted gel or aloe vera leaf for future use and consumption. If you want to get really creative, you can use freshly extracted aloe vera gel to make a DIY hand sanitizer or homemade hair conditioning gel.